HENLEY DRAGONS had a day of mixed fortunes at the latest round of the BDA National League held in Exeter. The first race of the day was a 200m individual time trial for seeding purposes where Henley finished in the top half of the draw. In the two-lane heats Henley won their first race against Cambridge Royals. In the semi-finals Henley lost out to Typhoon who went on to beat Wraysbury in the final. 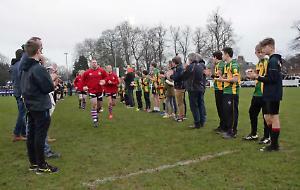 Following Henley‘s semi-final defeat they progressed to the Cup Tail where they beat Secklow to finish fifth overall and top of the standard division. In the afternoon 1,300m pursuit race Henley were beaten into second place in the standard division by Bristol Empire Dragons. On combined placings Henley finished top of the standard division and took maximum points from the day‘s racing. Before the next league event at the end of August the world championships will be held in Canada where a number of Henley paddlers will represent Great Britain in junior, premier, senior and grand dragon categories.